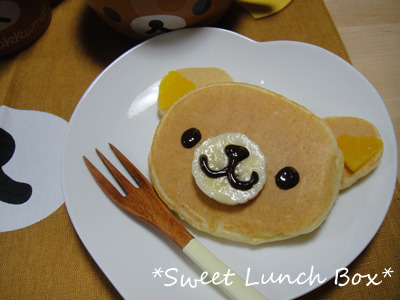 Serve someone this cute pancake bear breakfast for a happy start in the day! It’s hardly more time-consuming than a regular pancake. All you have to do is prepare your batter according to your favourite pancake recipe. When pouring the batter into the frying pan, start with a circle for the head and then immediately pour 2 small circles overlapping the first circle a bit for the ears. Decorate it with chocolate syrup and a banana slice after you have cooked both sides. If you don’t have chocolate syrup, simply mix cocoa powder with a little milk or water and fill it into a piping bag. 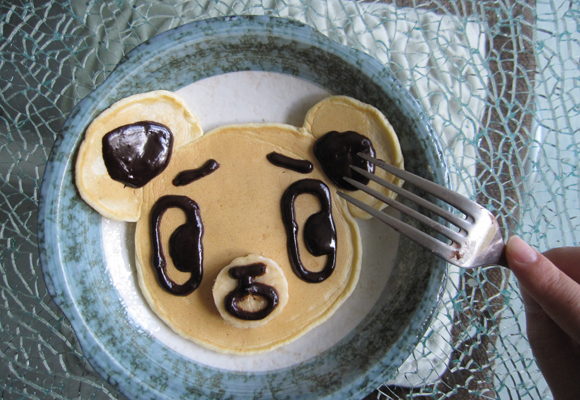 I got the bear-shaped pancake idea from a Japanese drama series called Otomen. It’s about a high school boy that seems very manly on the outside but he has girly hobbies like cooking and sewing that he tries to keep secret. 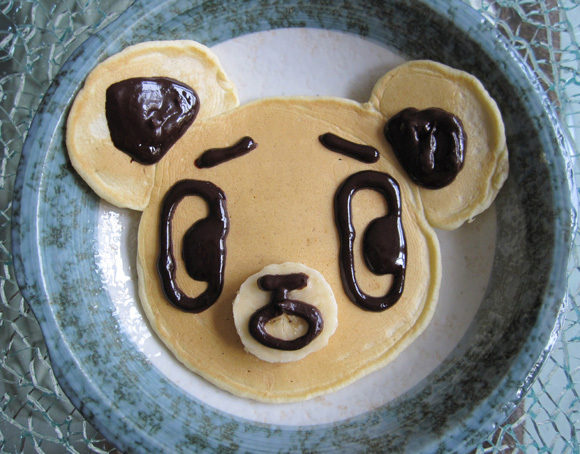 The series itself didn’t impress me much but I was at least fascinated by the appearance of the pancake bear in episode 2. 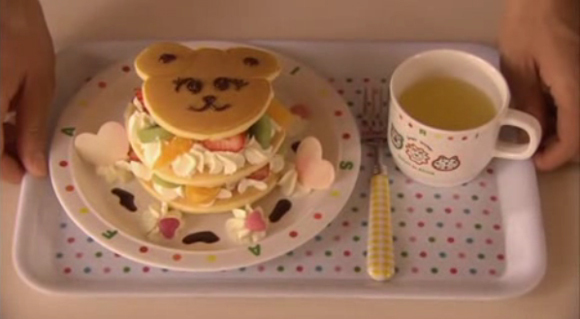 In the scene, the main character Asuka makes the pancake to cheer up a lonely half-orphan at an all-day care centre. The boy gets overly happy of course. Using a banana slice as a snout is an idea I got from this phenomenal picture that I found here in the sweets section of キャラ弁倶楽部 (Kyaraben Club). Ah, so cute.